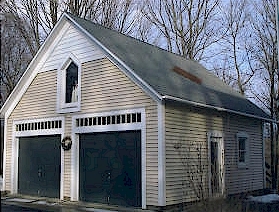 CPVC Garage door transoms are made with Cellular PVC sash, grids and sills. The frame, which is not exposed to the weather, is primed clear finger jointed pine. The units have a one piece sash and frame, with 4-9/16” jambs. The standard window is silicon glazed with clear single strength glass, interior stops are rabbetted to receive a glass or energy pane if desired. It is an true divided light window with interior and exterior grids, except C1G and C2G unit has applied sill but is available with no sill. 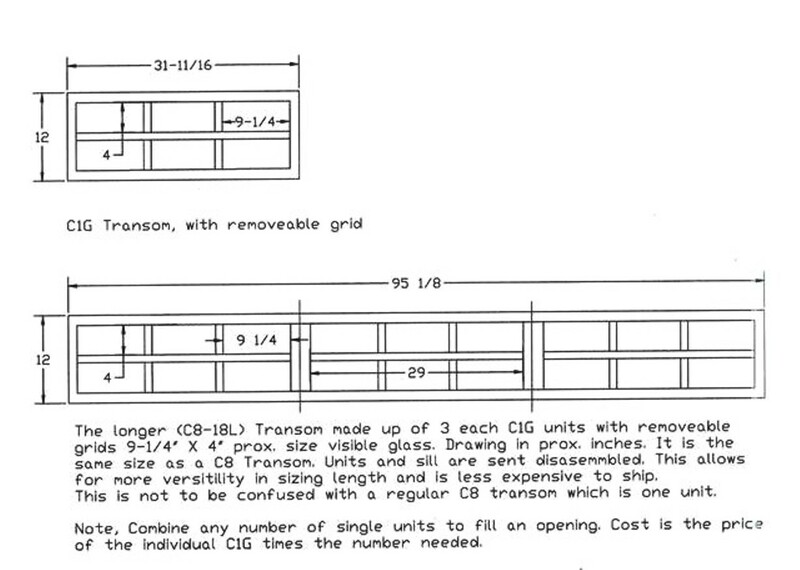 Applied exterior casing and extension jambs are available for an additional charge. See tables below. Cellular PVC products are impervious to insects and moisture. They will not cup, split, twist or rot and do not require paint for protection. It can be painted and holds paint well. For these and other reasons it is one of the most popular exterior trim products available. These products are made in our shop in Vernon Vermont. Please call to order or discuss your project needs. Transoms are available in CVPC and Bare wood. Please ask us to quote special size openings in your project. Below are a few examples. Standard width with special height less than 12”, same price as standard unit. Standard width with special height over 12”, $36.00 per square foot (up to 18”High). 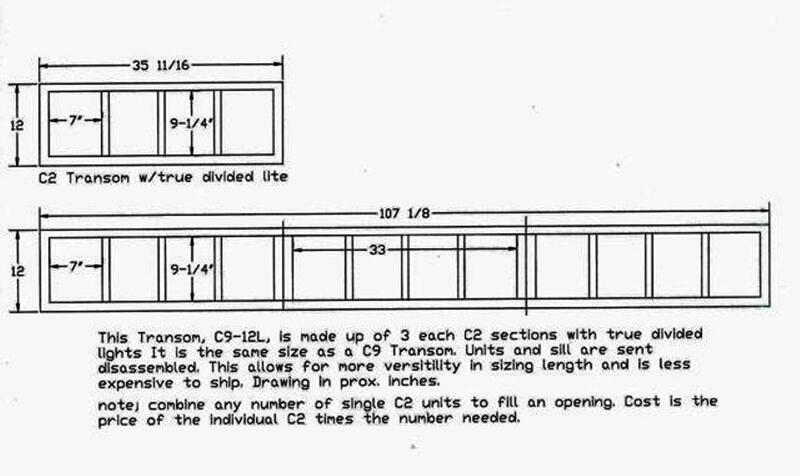 Please call for information on units over 18” high, and/or over 16’ long. 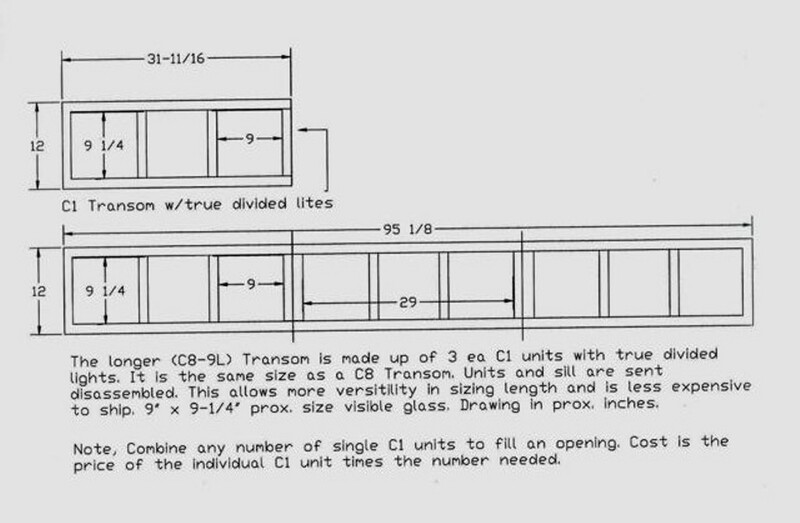 Openings over 10’ may be filled more cost effectively by using multiple units. Please feel free to call for to discuss your project. 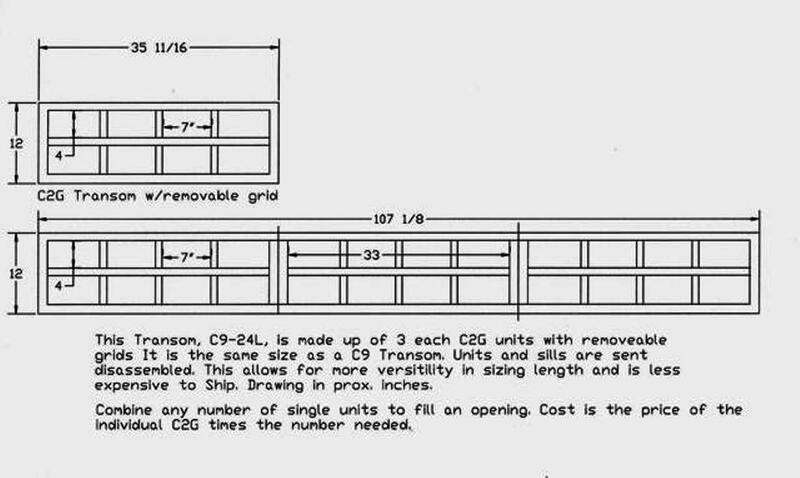 Larger openings can be filled without special sizing by combining units. The glass size noted is the approximate visible glass. May not be able to ship to all states and zones.